I recently had a hard lesson in book promotion. 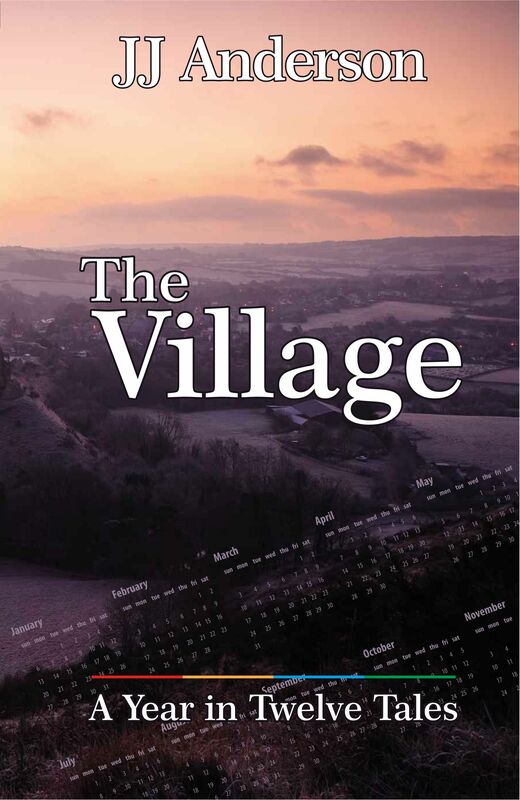 In June I placed ‘The Village; A Year in Twelve Tales’ and the three e-shorts of it into Kindle Select. I wasn’t getting many sales from other online retailers and the stats from The Story Bazaar web-site showed that I had visitors in markets which would otherwise not be open to me on Kindle. So it made sense to go exclusive with Kindle Select for 90 days. 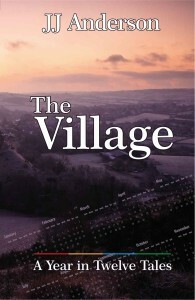 Within that time one is allowed to promote a book for five days, by discounting it or offering it free. Time passes, the book sells, albeit slowly, and, suddenly, I realise that the 90 days is about to end. And I hadn’t used my book promotion days. Oops! Must get moving. #Mistake number one – promoting a book in August – the deadest month of the year for book sales. Lesson – time your promotion with care. #Mistake number two – no time to plan ( and therefore to gain exposure on the many promotion sites which need notice in advance ). Lesson – plan months ahead and contact your promotion sites well in advance. I decide to offer the first of the e-shorts, ‘Winter to Spring’ for free for five days in the hope that people might try it, like it, then buy the longer version. So far, so logical. In order to get some attention for the full-length version at the same time, I organise a ‘giveaway’ on Goodreads. For those who don’t know, a Goodreads giveaway is when an author makes a certain number of copies of a book available for free if people request it. There are usually far more requests than books made available and, the hope is, that those who aren’t lucky enough to be successful in the ‘draw’ for the free books, will go on to buy the book. It means exposure on Goodreads, which usually prompts others to list it on their Goodreads pages and mark it as ‘To read’ i.e. to buy at a later date. My thinking was that those people who entered the giveaway and didn’t get the free book ( there were only five available ) would probably notice the free e-short and download that, thereby increasing the chance of their buying the longer version later. This too makes sense, as the people who have entered the giveaway are self-selectors, i.e. folk who like the sound of the book anyway. I also purchase a, relatively cheap, Goodreads advert to be run at the same time, showing my full-length version. I publicise the free book promotion on this site, on Twitter, Facebook, Pinterest and LinkedIn. Then I sit back and watch the real-time stats. People apply for the giveaway, my ad gets thousands of views. BUT people aren’t downloading the free e-book. Why? First, I realise that my ad leads folk to go straight to the giveaway of the longer book, they don’t click on the Free Book element or check my book page, where the free e-book is shown! #Mistake number four – the free item must be IN YOUR FACE – ‘FREE E-book’ is what should be UP FRONT not lower down the ad ( it’s obvious isn’t it ). Lesson – think about design, assume folk will click on whatever they see first. Only hours in, I change my advert to show the free e-short at the top. Ah ha! More downloads accrue ( though actually most of the downloads on the first day come because of my own publicity via social media ). Second, I realise that my ad is one among thousands on Goodreads and a ‘view’ of an ad is of a screen which shows lots of ads not just mine. So, how to get better, more specific exposure? Well, I could pay more on Goodreads, but I don’t have an advertising budget. I think about other promotion sites, from the huge, like BookBub ( pretty impossible to get on to, unless your book is already successful ) to the smaller sites like AskDavid.com, which has about 47,000 followers. It’s Day 2 in my 5 day window, so I hunt down some smaller sites and arrange for them to show my book. #Mistake number five – a Goodreads ad just doesn’t do it. Lesson – get on as many sites as is possible for maximum exposure. Then I come across the amazing ‘ReadersintheKnow‘ site, thank you Simon, which provides a list of all likely book promotion sites and their requirements. Hooray! Of course I don’t have the time to get on all of these sites now, but I know where I’ll be looking and who I’ll be contacting, in advance, next time I do a book promotion. And, in the meanwhile, I get my book ad onto some of the sites. More downloads accrue. But there still aren’t as many downloads as I had thought there would be – in the tens rather than the hundreds – after all the book’s free, what’s not to like, as they say? Well, at any given time, I have discovered, there are approximately 85,000 free books available on Kindle. So, just offering something for nothing isn’t enough. What is needed is as much exposure as possible. Oh yes, and another thing, it’s August! So, why didn’t I research all this beforehand, you ask? Well, if you recall, this was all done hurriedly when I realised I had to use my ‘free’ days or lose them. I will do better next time. But, if any would-be book promoters are out there reading this, please learn from my experience – I intend to. And the end result? The giveaway ran for 48 hours in the UK only and 109 people applied for the five free copies. Of the 104 who weren’t lucky maybe 10% will buy the book, so 10 sales ( though all now have it on their book pages so giving it publicity, to all their friends and contacts ). At 10 sales this exercise would break even. There were fewer than 100 downloads of the free e-book and with, say, 5% going on to buy the full-length version, this barely covers the cost of the ad. The real value of this exercise, however, is in the learning. Not just about book promotion, but in coming across some really useful web-sites along the way and making new connections. I’ll use them next time. N.B. As it happened, only one day after the offer concluded there were sufficient sales to cover costs, so something went right, despite everything. Very useful information. It’s only been a month since I self-published my five books on Amazon and I’m trying to find my way as far as promoting the books goes. Thank you for posting this.